skills in one extended weekend! Decades in the making, this is the course you have been waiting for. Note: This course of private instruction has primarily been developed for Executive, Sous, and Garde Manger Chefs, as well as Culinary College Instructors. However, in certain circumstances, the requirements for having this level of professional culinary experience may be waived. "A lifetime of learning in three days. Phenomenal and packed with information and trade secrets! I highly endorse this training. It's worth it with the feedback and one on one interaction. I really appreciate how you customized my training." ...in 3 Days (30 hours) of Private Instruction! Note: To maximize your time during instructional hours, you will also be provided approximately 10 additional hours of drawing/design oriented work that is to be completed at your hotel. 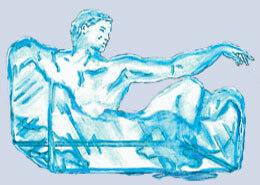 Thus, your instruction will provide "total immersion" in the art of ice sculpting. The Chef Ice Artist Program provides one-to-one, private instruction for Executive Chefs, Sous Chefs, Garde Mangers, and Culinary Instructors. It also serves commercial ice carving companies by equipping ice carvers with the essential drawing and three-dimensional visualization skills needed for handcarved custom ice sculptures. 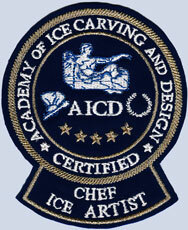 AICD's comprehensive Certified Chef Ice Artist Program (CCIA) features three consecutive days (45 hours total) of intensive drawing and 3-D sculpting instruction that is divided into 30 hours of private instruction and 15 hours of offsite design oriented coursework (to prepare for each day's carvings). Our Certified Chef Ice Artist (CCIA) Program is designed to teach essential drawing and three-dimensional visualization skills needed by professional chefs, culinary students, and ice carvers. 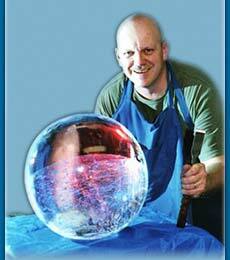 Comprehensive ice carving instruction is condensed into a three-day program. The Certified Chef Ice Artist (CCIA) Program of private instruction, combined with the Certified Professional Ice Carver Program (CPIC) fulfills the qualifications needed for enrollment in the 5 Star Master Program.